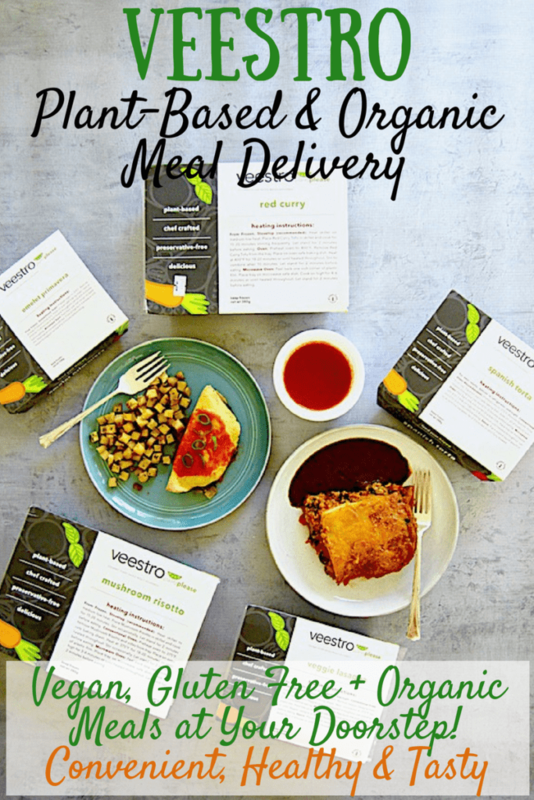 Finally there’s a gluten-free, organic AND vegan meal delivery service with Veestro! 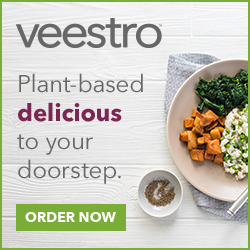 Whether you’re too busy to cook, want to eat more of a plant-based diet but don’t know how, or just want to try something that you can count on to make your life easier for any meal of the day, then Veestro is for you. Read on for my review! Plus, get 15% off your a la carte order with the code CHICKPEA15 until November 30, 2017! 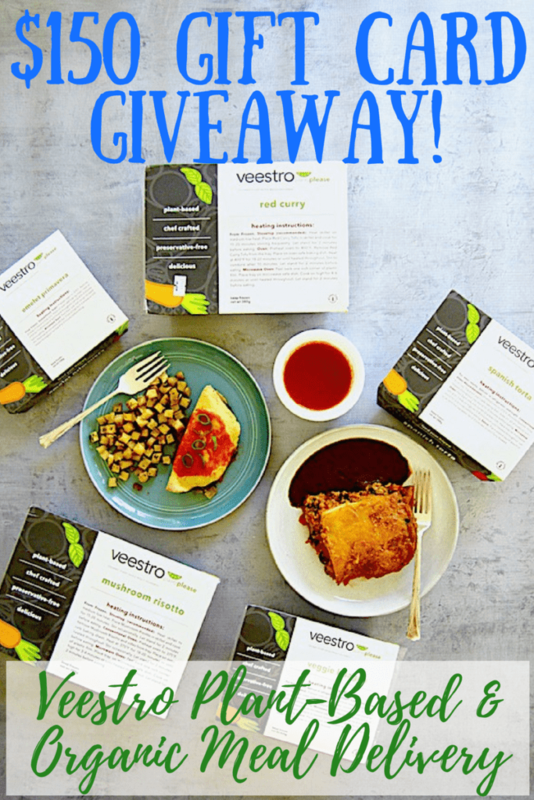 Oh, and did I mention that Veestro is giving one lucky winner a $150 gift card?! Oh my goodness – when did NOVEMBER happen?! Time is just flying over here and I feel like some days are so busy, I can hardly keep up… and now we’re entering the holiday season which I absolutely LOVE, but let’s face it – it’s an extra busy time of year with travel, festivities, extra shopping and planning… and the list goes on! Recently there have been nights when I’m just too darn busy to cook; even the thought of it can be exhausting, ya know what I mean? 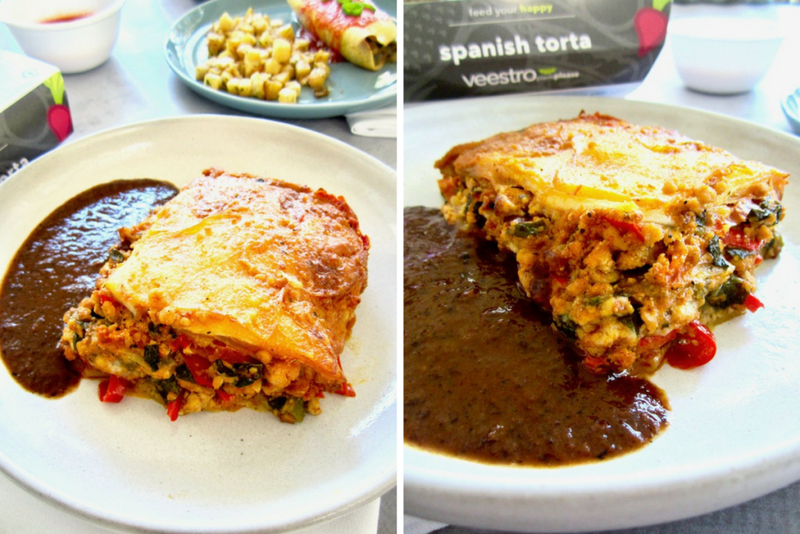 …then Veestro vegan meal delivery service is for you! I first heard about Veestro earlier this year, which is a 100% plant-based, organic, preservative-free meal delivery service WITH GLUTEN FREE options. Seriously! 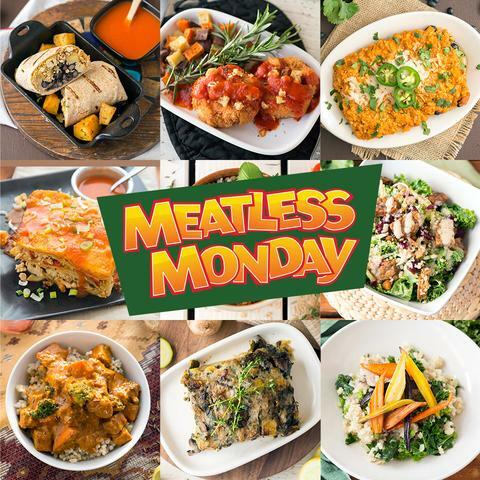 Meal delivery services have become really popular these days and are popping up everywhere, and it’s fairly easy to find gluten free options or occasionally vegan options at some of the different sires – but NOT the combo of BOTH! Plus, very few of those companies are organic. So when I heard about Veestro I couldn’t wait to order and dig my fork in, because they have it all! Vegan and organic breakfasts, entrees, soups, desserts and juice, all with gluten free options (or not, if you don’t want/need GF!). Disclaimer: I’m an affiliate for Veestro. If you make a purchase after clicking one of my links, your costs stay the same but I receive a commission to help support Vegan Chickpea. Thank you for your support! Choose from a la carte meals (you pick whatever you want), meal packs (a pre-picked assortment) or a 3-5-7 day weight loss plan. The chef created meals are delivered straight to your doorstep, frozen with dry ice to ensure they stay cold – all in eco-friendly packaging. Most meals are heated from frozen, but some are recommended to thaw overnight in the fridge first for best preparation. All meals have cooking instructions right on the package. I’m gonna be honest here – I’m a home cook. I don’t go out much and rarely eat frozen meals, and truthfully – I almost always prefer a good home cooked meal above anything pre-prepared and frozen. But like I said, when times get busy and suddenly it’s 8pm and I don’t have anything planned for dinner – boy am I ever grateful to have another option just waiting for me in the freezer, and one that meets my dietary needs and preferences while also being relatively healthy at the same time! Overall I was happy and satisfied with the meals. My favorite was probably the Spanish Torta, which has layers of potatoes, some roasted veggies and tofu with a black bean sauce (pictured above). The Veggie Lasagna and Red Curry tie for 2nd place. I liked the Mushroom Risotto too, I just found it got a little mushy when cooked, though I think maybe I could try cooking it in a different pan and stirring less next time to make it less mushy. 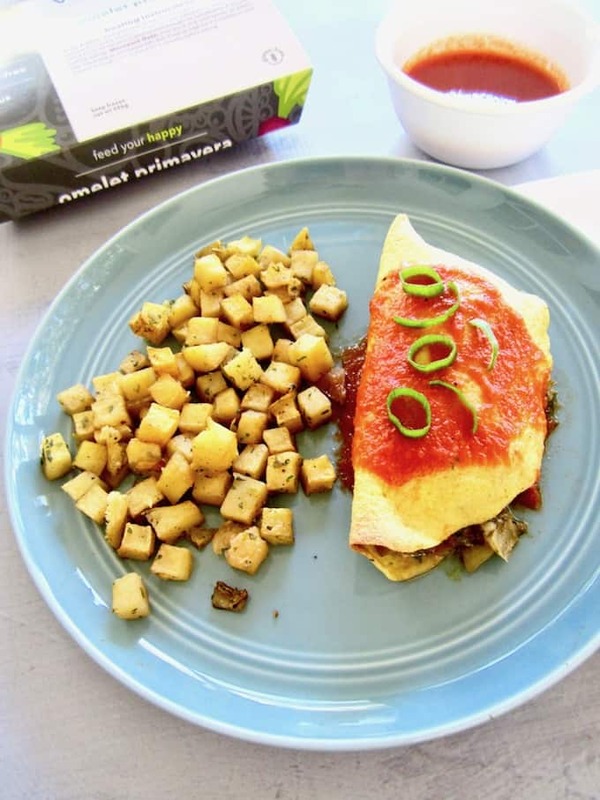 The Omelet Primavera was my least favorite; the texture weirded me out a bit and I thought the potatoes were bland (but nothing some extra pepper and hot sauce couldn’t fix!). Add your own condiments + toppings. Some of the meals come with sauces, which I enjoyed, but I’m a condiment queen. Hot sauce, red pepper flakes, dressing, avocado, pumpkin seeds, etc. – all add extra flavor and dimension. If desired, add some fresh veggies. Look, I know this tip may sound like it defeats the purpose of not needing to prepare a meal or have fresh food on hand, but I’m such a fresh veggie person that I found the meals to be more balanced with a side salad or some leftover extra cooked veggies mixed in with the Veestro meal. I’m really curious to try the Enchilada Casserole, Quinoa Bake, Moroccan Melange and Black Bean Pasta Alfredo for the entrees, and their GF desserts – the Chocolate Chip Cookie Cake, Chocolate Cheezecake and Raspberry Cheezecake (which has a 5-star rating!). While the meals may not be *quite* as delicious as what I make for myself when I cook (I am a food blogger after all!) ;), they satisfy my need for an occasional convenient meal option that I can count on to be vegan, gluten free, organic and relatively healthy – so it hits the spot for me. 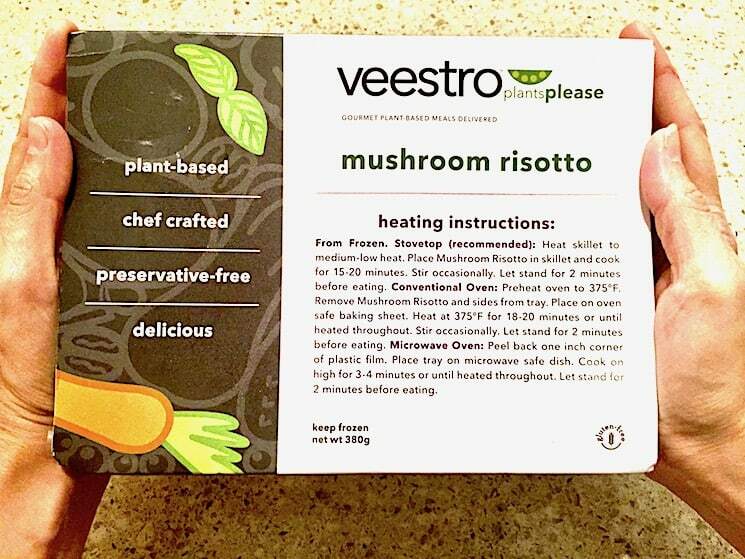 So, if you find yourself short on time but still want a vegan/gluten free/organic meal, or if you want to give plant-based eating a try without buying new ingredients and planning what to make, then Veestro is a great solution and doorway to plant-based eating and cooking! Veestro is also giving one lucky winner a $150 gift card! ENTER BELOW – GOOD LUCK! ? NO PURCHASE NECESSARY TO ENTER OR WIN. A PURCHASE DOES NOT IMPROVE YOUR CHANCES OF WINNING. VOID WHERE PROHIBITED BY LAW. Giveaway ends Wednesday, November 8th, 2017 at 11pm EST. Winners will be contacted within 48 hours via email, and must reply within 48 hours of being contacted with their shipping address or else automatically forfeit the prize. Must be 18 years old to enter and live in the continental USA. Disclaimer: This post contains affiliate links. 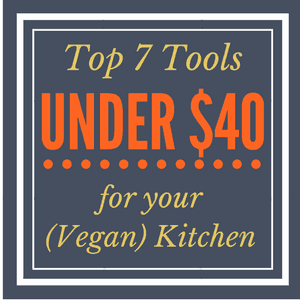 If you make a purchase after clicking one of my links, your costs stay the same but I receive a small commission to help support Vegan Chickpea. Thank you for your support! I totally love that you have shared this! I would not have known about them any other way. How fantastic to have meal delivery meet so many important points. Frankly, I think it makes sense (ecologically, economically) for all plant-based/vegan meals to also always be gluten-free. Meeting two markets with one effort. Big hugs for this! Hey Kristen! SO HAPPY to hear that you enjoyed learning about Veestro! Yes, I was super stoked when I heard they were GF too. Thanks for visiting! I cook all the time, too, but I wouldn't mind having these meals around for the times I'm tired or can't think of anything to make. I love that Veestro is vegan, gluten-free and organic. Awesome Fran! Me too! Thanks so much for reading! I've never seen a vegan let alone with Gluten-Free meal service before, it sounds interesting...I'd like to try it, if I won...but as a home cook myself, not sure anything could compare...so perhaps I will be proven wrong? We'll see. :) Thank you for the give-away. Congratulations to whomever does win! Wow that's pretty cool that there is finally a vegan meal service!! Thanks for sharing your experience!! So funny, I JUST heard about Veestro for the first time yesterday. It sounds so interesting, I might give it a shot. Thanks for reviewing it - very, very helpful ! Oh my gosh, what perfect timing! I'm really glad to hear that you found the review helpful Stephanie!! I JUST learned about Veestro! And I was wondering why no one had started a plant-based meal delivery service yet. Ha! I have entered-I hope I win! I would really like to these meals! i like how nice it is to have them shipped to your door! I would love to try these meals! The meals would come in handy after getting home for traveling, when I don't feel like thinking of what to cook! Some days I just don't have the time or energy to make dinner and just have a pb & j, which is fine, but this would be so much better! Wow, I would love to win this to try out this service, because it looks like something that could really help me get dinner on the table quicker! Would love to try their meals and stay on board with our wfpb diet. I have been wanting to try them forever, they are just a bit expensive! This GC would allow me to try it! I hear ya Sara. Did you also see the code CHICKPEA15 for 15% off your a la carte order through the end of the month? Maybe you could try a couple meals that way! whoa i would love to win for my family we have condition that requires a change of diet recently and this would help so much ! Ooh, I hope you're transitioning well to your new diet Samantha! It's crazy how much junk is out there, huh? Luckily there are more and more healthy options and resources everyday too! I'd like to win because it would be something new and exciting to try! Awesome Pat! I always love trying new things too! Great Jenny! Thanks for visiting.